We are Woody and Amy. We are a family that loves people, God, adventures, good coffee and good stories. We are so excited to meet you and honored that you are taking the time to learn more about our story. We are amazed by your courage, unending love and wisdom in considering all your options and making such thoughtful, brave choices for your little one who is already so loved. We don't know exactly what you are experiencing on your journey but we imagine the decisions you are faced with are incredibly tough. We want to acknowledge that adoption is an immensely difficult decsion but one that is grounded in beautiful love. We are praying for you. We look forward to learning more about your story and meeting you. 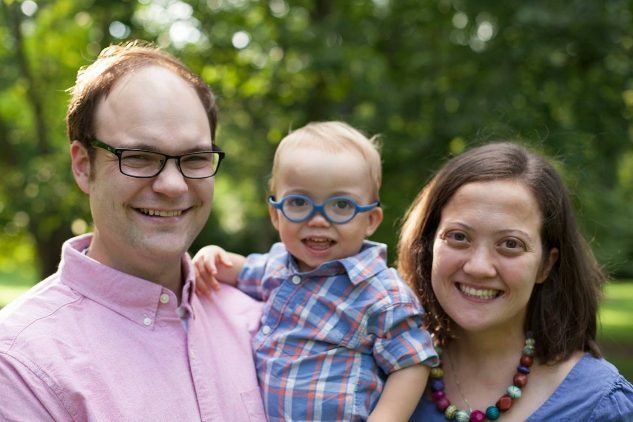 Amy is a pediatrician and Woody is a speech therapist and love being able to make a difference in our every day jobs.. We have both worked with many children and families. Their stories have taught us so much and inspired us both to adopt before we even met. We discussed adoption as part of our family plan while we were dating and are so excited to be preparing to welcome a little one through adoption! We met across the pot-luck table at a meeting where Amy was sharing about her first trip to East Africa in 2010. Many late-night chats, cups of coffee and chai, laughs, a few diplomas, prayers, plane tickets, and adventures later we got married in 2014. In 2016 we welcomed Oliver, our first son. Oliver has taught so much about unconditional love and joy. He is called the "calm in the storm" by friends for his laid-back, kind nature and will be a great big brother. Our extended family is close-knit, adventurous and fun and LOVE being Aunts, Uncles and grandparents. 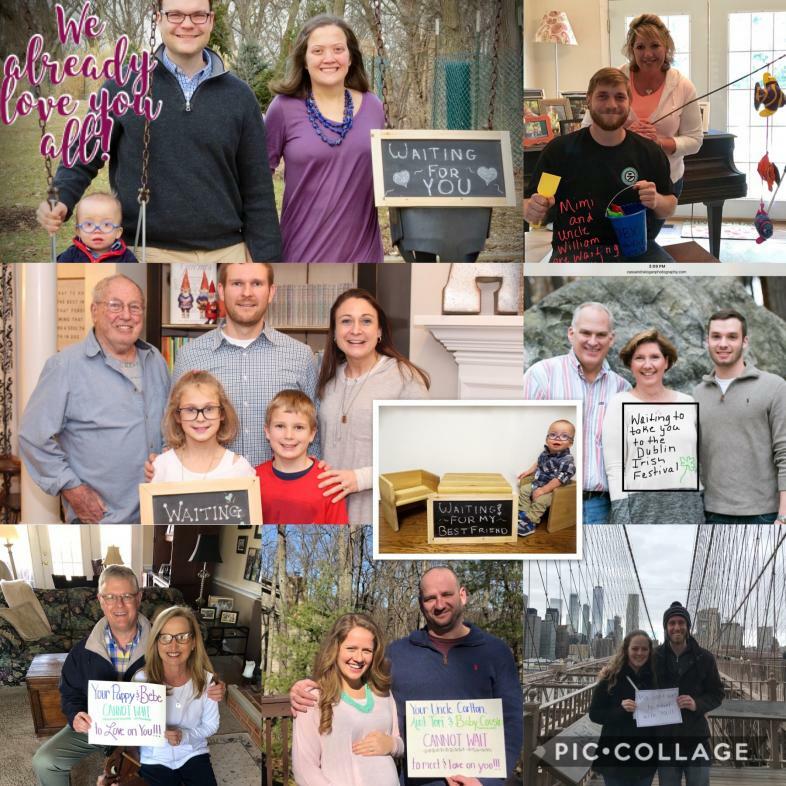 They are ALL so excited and supportive to welcome a new baby through adoption to our family beach trips with Woody's family, family reunions in the mountains with Amy's family and holiday celebrations. Some of our favorite family traditions include: family music time around the piano, wings and movie nights at home, baking and cousins Christmas play for Jesus birthday party on Christmas eve, family fishing and picnic at the beach each summer and family traveling and hiking from East Africa to Califorina! Our home has five bedrooms with a large yard and deck perfect for star gazing, cook-outs with friends or family song time on the porch swing. Our loving, diverse church community doesn't just meet on Sunday but loves one another and our city daily. They are supporitve and joyful in waiting with us. Everyone is waiting with so much love to share with a new little one! Any child who joins our family will be loved unconditionally along with their first family. They will be raised to know Jesus and be confident in who they are meant to be. His/her heritage and first family will be celebrated always. We are open to exploring an open adoption centered in love for your baby through an ongoing relationship however you desire. We are honored you would read this letter and learn more about us. Please let us know if we can answer any questions. We pray peace and wisdom for your journey! Our Video: Coming Soon!!! Check out our Facebook page for Short Videos! We are represented by Nightlight Christian Adoptions. If you want more information about us or would like to meet us, please contact Nightlight at 866-832-3678 or Text 859-533-5306 Our whole family is so excited! We already love you and pray for you every day!